Staffordshire based Croft Architecture are celebrating a double success in the West Midlands Building Excellence Awards. Contrasting design projects, in the town and countryside, have been recognised by judges in the annual awards programme led by the West Midlands regional Local Authority Building Control teams. The awards celebrate excellence and assess how participants worked to meet building control standards against exacting standards in areas including compliance, innovation and problem solving. Croft Architecture has been shortlisted in the Best Change of Use of an Existing Building or Conversion and Best Small Commercial Project categories for projects completed in 2016. The best change of use shortlisting follows a successful project to create luxury homes at Moor Farm, Upper Leigh, Staffordshire. Working closely with an archaeological specialist and the local authority planners and building control team, Croft Architecture, project managed the restoration and modernisation of the Grade Two Listed farmhouse and won planning permission to change the use of the barns on site to create four, high specification, two to three bedroom homes. Recognition in the Best Small Commercial Project category came after Croft Architecture worked with Quality Print Services (QPS) to create modern, welcoming offices in Fenton, Stoke-on-Trent. QPS had experienced significant growth but were being held back by out-dated offices with little natural light, poor staff facilities and unwelcoming public space. 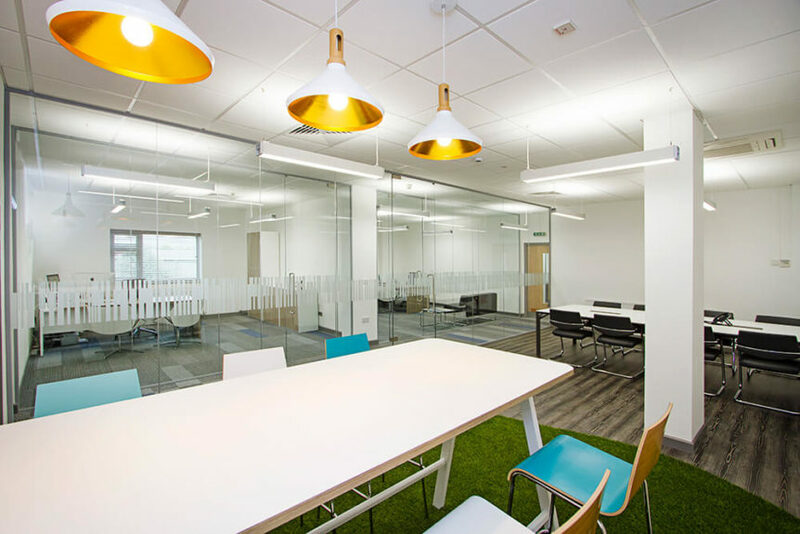 The company took a decision to move offices and Croft Architecture worked closely with them to produce a new light, airy and user friendly layout. Managing Director Carl Croft said: “These were two greatly contrasting projects but both presented issues that we worked closely with the Building Control teams to resolve. “At Moor Farm, we were able to produce a design of exceptional quality which takes full account of the history of the site and the beautiful Staffordshire countryside setting. An awards ceremony will be held at the Telford International Centre on Friday, 7 July. The winners from each region go through to a national finals later in the year.